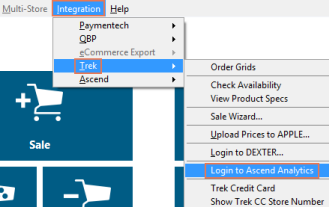 From the Ascend Desktop, select the Integration menu > Trek > Login to Ascend Analytics. Or, just enter analytics.ascendrms.com in your preferred browser. Your user information for Ascend Analytics is not the same as you use to log into Ascend. If you're unsure of your account information, contact your manager or store owner. If you are the owner, email the Support Team to request a password reset. What information does each of the Work Order reports display?